In Raleigh, you can avail simultaneous training for both Green and Black Belts with us for the first two weeks. That way, trainees benefit a lot since they can attend training for both belts together that saves them a lot of time. Organizations also benefit from saved time as well as greater flexibility in their operations. Raleigh organizations would also be immensely pleased with our provision of many onsite Six Sigma Champion leadership courses. There is a $1000 discount available against the discount code BB1000 when opting for Green Belt and Black Belt after Green Belt in tandem. Sign Up for Six Sigma Raleigh. You may also call the hotel directly @ +1 (919) 878-6100 and reference 6Sigma group. The Residence Inn by Marriott Raleigh Midtown hotel is located in Raleigh, NC and close to the RBC Center, Carolina Hurricanes, Crabtree Valley Mall, North Hills Mall, NC State University, NC State Fair Grounds, Carter Finley Stadium, downtown Raleigh, Centennial Campus, Duke Raleigh Hospital. 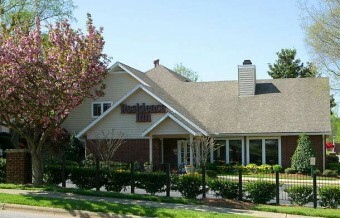 The Residence Inn Raleigh Midtown hotel has easy access to I-40, Durham, Duke University, Chapel Hill. The Residence Inn Raleigh Midtown hotel offers a unique town home setting that offers the traveler a comfortable alternative to the traditional hotel environment. Nestled in beautiful North Raleigh, our suites offer all the comforts of home with service so memorable our guests tell stories about it. Start your day with our complimentary “Home Touch” breakfast in our Gatehouse and end it with a relaxing evening at our complimentary social provided Monday through Thursday evenings. You don’t want to miss our seasonal weekly barbecue that has come to be a Residence Inn tradition on Wednesday nights.